We all know how effective it can be to advertise on mugs that are in regular daily use. Our Apollo mug is a great example, made of white ceramic and with a large printable surface area. 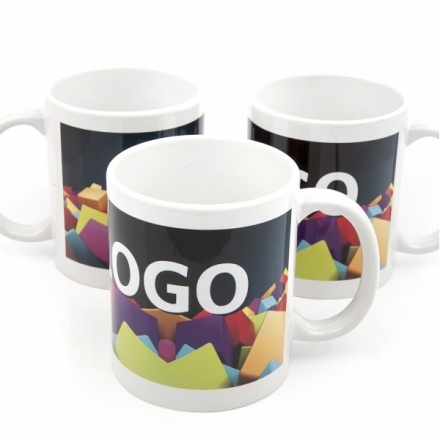 We can apply full colour wrap print with Photo-quality design to the outer surface of the mug, and the bottom or handle. Our mugs are supplied packed in a windowed box to ensure safety and good visibility. Example price for a product with full colour wrap print.